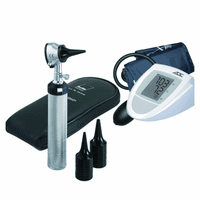 Scroll down to see our selection of Medical Equipment for sale. Medical Equipment is of course a large section on our web-site, and consists of various items that we carry, including a large selection of medical bedding and bed accessories, MRI compatible medical equipment, medical oxygen equipment and accessories, several types of electronic medical equipment. Look through our medical equipment section to find the medical equipment product that best fits your needs. Medical equipment is used to aid in the diagnosis, monitoring and treatment of many different types of medical conditions. It may be used in Hospital, clinics, or in your own home. Different types of medical equipment may include diagnostic equipment used to identity medical conditions, Therapeutic equipment, may aid in a patient or users rehabilitation or mobility, while different types of medical monitors, may allow care takers or even individuals to measure ones medical state including vital signs and other parameters such as blood pressure. .